Concept jeans sewn by DNA to show to brands have been finished using eco-friendly waterless resin or ozone processes. 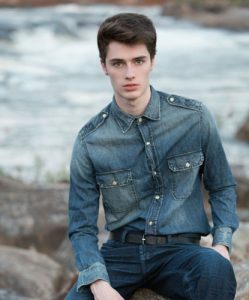 Georgia-based DNA, Jimtex Yarns have partnered to create DNA’s R3 Denim™ featuring Jimtex’s ECO2cotton® yarn. 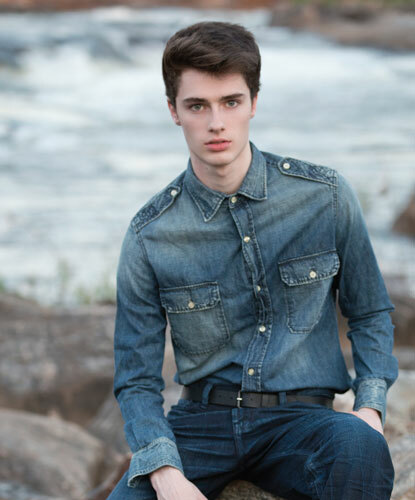 Denim North America (DNA), Columbus, Ga., recently launched its sustainable R3 Denim™ collection to appeal to environmentally conscious apparel brands and their clientele. At its dyeing and weaving facility in Columbus, DNA already has implemented environmentally responsible manufacturing practices to reduce carbon dioxide emissions, recycle waste to reduce landfill requirements, recover 50 percent of its process chemicals for reuse and recycle 90 percent of its process water in a continuous loop system. The weft in R3 Denim comprises recycled-content ECO2cotton® yarn produced by Jimtex Yarns, Lincolnton, Ga., a division of Spartanburg-based Martex Fiber Southern Corp.
ECO2cotton is made using cutting waste collected by Martex from U.S., Mexican and Central American cotton knit apparel production facilities. Martex sorts that waste by color and source, and refiberizes the material, using a mechanical process that does not use process chemicals or water. The resulting fibers are blended with man-made fibers and spun into yarn by Jimtex. The yarns are available in more than 50 stock colors, and different colors can be plied to produce additional colors. According to Marc Williamson, Martex’s director of business development, this year the company expects to recycle and reprocess nearly 180 million pounds of textile waste — including other pre- and post-consumer waste in addition to what goes into ECO2cotton. Large waste streams from each manufacturer enable the company to achieve color consistency and material performance in its yarns. R3 Denim jeans is equal to two cotton T-shirts. DNA is looking to increase the recycled content in future fabrics. According to Lisa A. Harris, DNA’s product and creative director, the five fabrics have names inspired by Georgia’s diverse topography to celebrate the fact that the collection is produced by two Georgia-based companies in partnership. DNA is showing R3 Denim to brands and has made up some concept jean styles that are finished using waterless resin or ozone processes. “When taking its jean to market, a brand can tout the additional benefit of how many gallons of water are saved in finishing, besides what DNA is saving in the way we’re processing the fabric,” Harris noted.